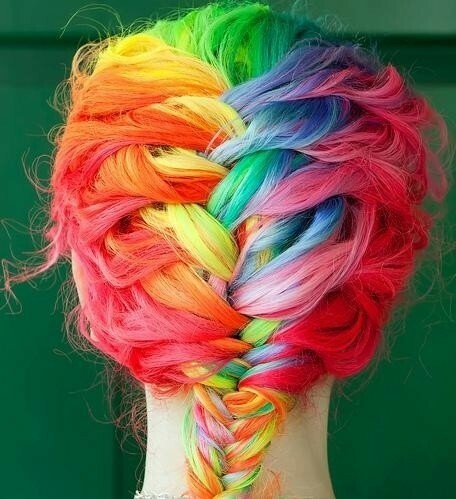 Rainbow Hairstyles - Get some Fun Highlights! : Everything About Fashion Today! 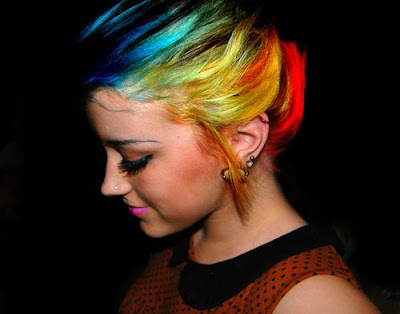 Rainbow hairstyles echo the hair color revolution of the '80s - remember the stylish hairdo of Girls Just Wanna Have Fun star Cindy Lauper. Their juice lingers on mixed with the new waves of our era. 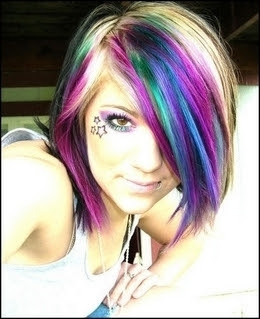 If you're a self-acclaimed 'guinea pig' you might experiment with these colorul highlights and cuts to make your life wrapped up in a chromatic fantasy. Would you be doing this for this summer? What do you think?